Anchorage officers fired on and fatally wounded a suspected “vehicle prowler” who first ignored warnings and fired on them, the police chief said Thursday. The man was declared dead at a hospital within about 30 minutes of the shootings. No officers were injured in the exchange of gunfire, police said. Police had received a call at 2:11 a.m. about a “prowler” in the Airport Heights neighborhood near 16th Avenue and Columbine Street, Chief Justin Doll said at a media briefing. The caller told dispatchers the man had been going through their vehicle and they had “scared him off,” Doll said. The first officer arrived on the scene two minutes later, with three more soon following. Officers spoke with a witness who said the man had fled, police said. After several minutes of searching the area, police located a man they believed to be the prowler and gave commands for him to stop running. The man, who has not yet been identified, refused to stop, and officers chased him on foot, police said. “During that contact, we believe at this point that that suspect fired at our officers and our officers returned fire,” Doll said. Officers shot “multiple times” after the man fired at them with a handgun, Doll said. Officers gave the man medical help and called for paramedics, Doll said. He was taken to a hospital, where he died at 2:45 a.m. The four officers involved in the shooting have been placed on mandatory paid leave. Their names will be made public after 72 hours, which is the department’s normal policy after officer-involved shootings. The department’s crime scene team is investigating, and their findings will be turned over to the Alaska Office of Special Prosecution for review. The department will also investigate the shooting internally, Doll said. It was the first time this year Anchorage police officers have fired on a suspect, department spokesman MJ Thim said. 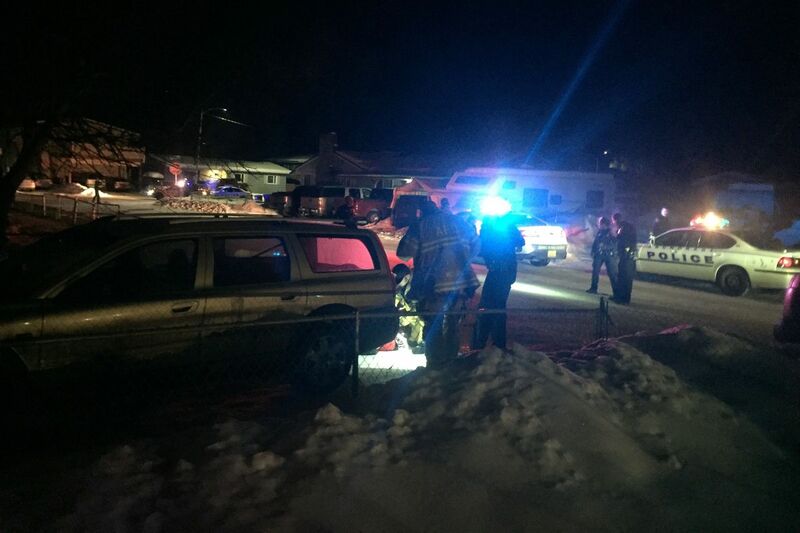 Anchorage has seen seven such shootings in the past three years, according to the department’s numbers: one in 2018, two in 2017 and four in 2016.